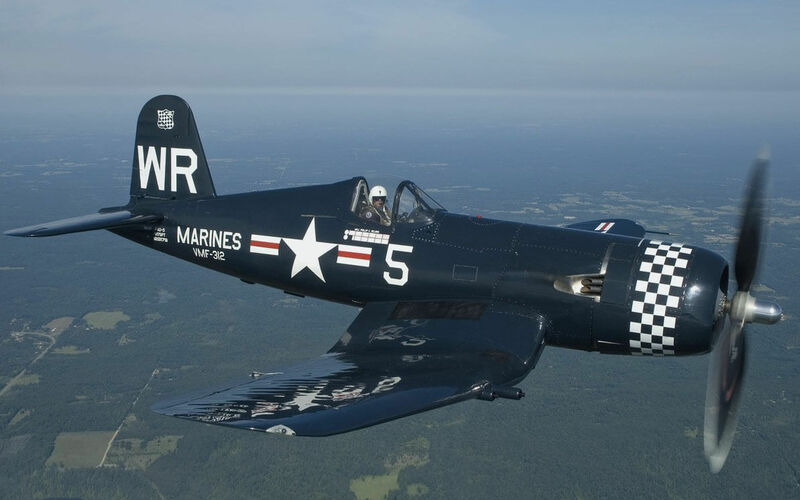 The F11F Tiger was originally a development of the F9F-6/7 Cougar incorporating area rule and other technical advances. Although the prototype first flew in 1954 as the XF9F-9, it was recognised as a new design and re-designated the F11F in 1955. 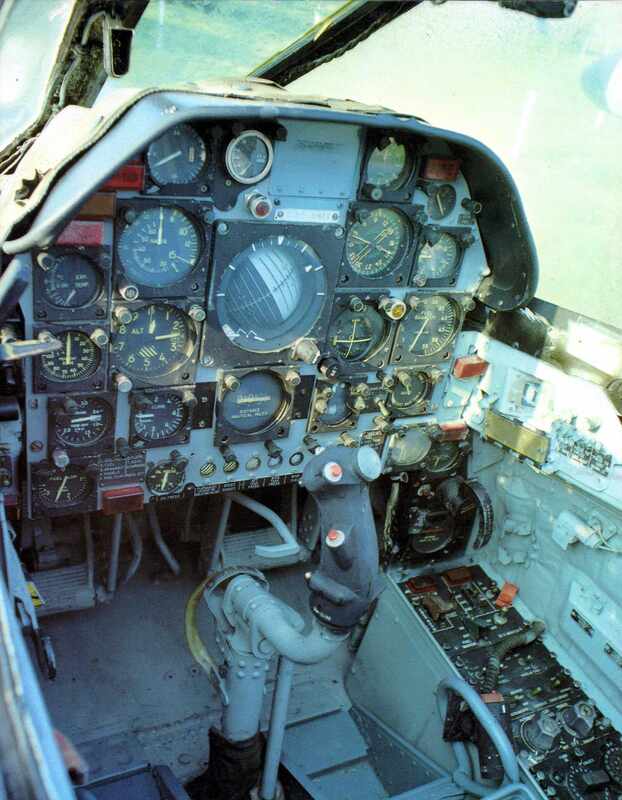 The aircraft entered service in 1956, but performance was inferior to the F8U Crusader and the J65 engine proved unreliable. As a consequence production was limited to 200 examples and the aircraft was withdrawn from carrier operations after only four years in 1961. 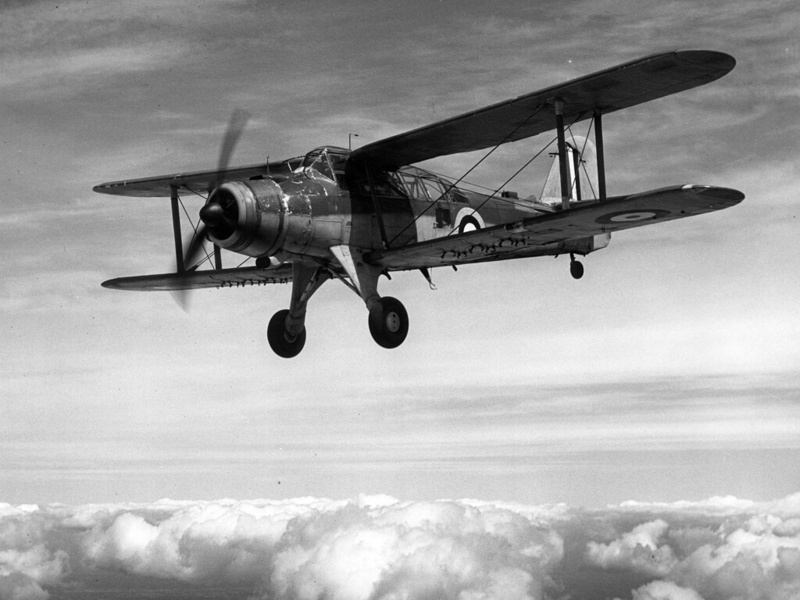 The aircraft continued to serve with Reserve and training units until 1969. In addition the F11F was the mount for the US Navy’s famous aerobatic team the “Blue Angels” from 1957 to 1969 . This title contains the US Navy flight manuals for the Grumman F11F Tiger series. The files have been scanned from the original flight manuals and retain any colour pages. 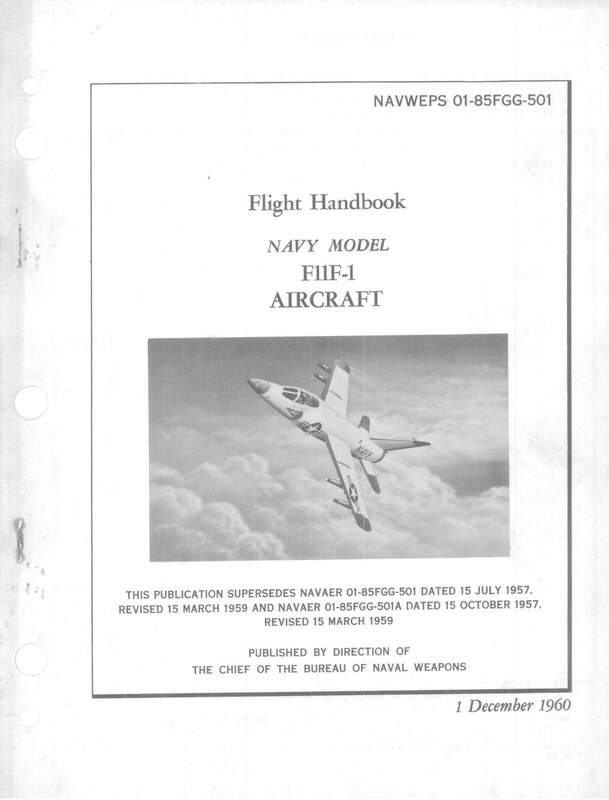 US Navy Flight Handbook for the F11F-1, NAVWEPS 01-85FGG-501, dated 1 December 1960, with approx 208 pages. 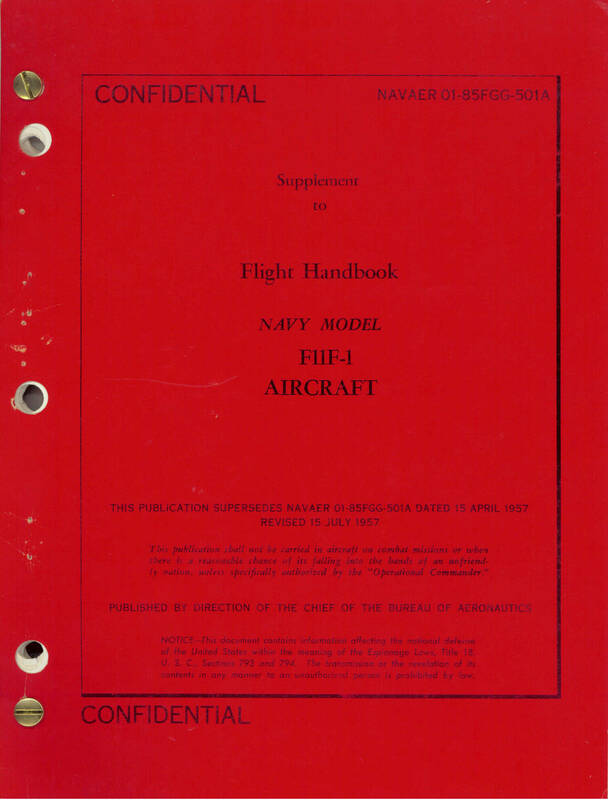 US Navy Supplement to the Flight Handbook for the F-11F-1, (Confidential) NAVAER 01-85FGG-501A, dated 15 Oct 57 revised to 15 Mar 59, with approx 84 pages. US Navy In-Flight Guide for the F-11A, CNAAT-P-183 dated to 30 Oct 63, with approx 30 pages.